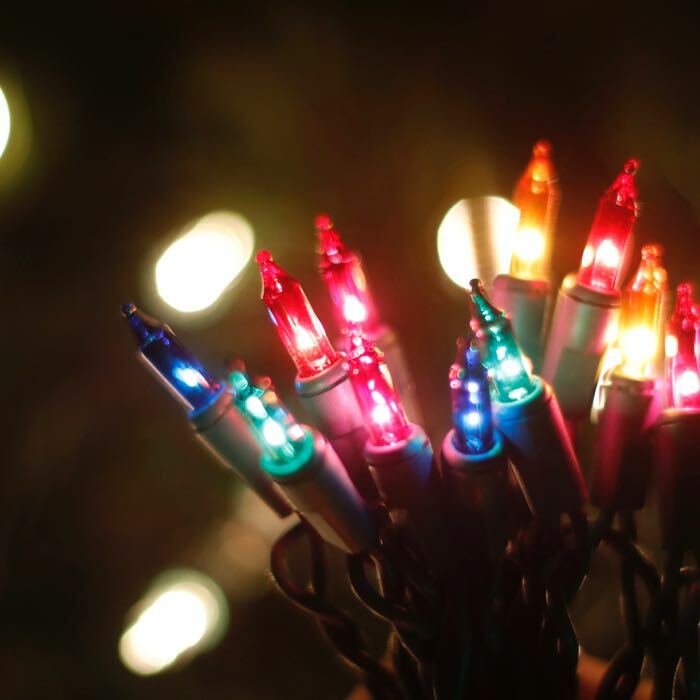 There is nothing more festive than driving down the street in December and seeing houses and trees lit up with multicolor Christmas lights! 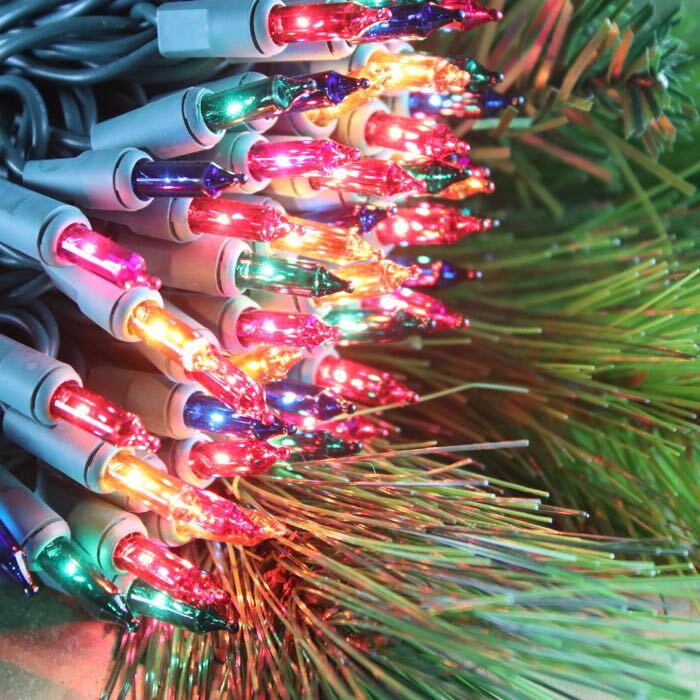 These 100 bulb strings with 6 inch spacing are just the lights you need for your larger outdoor projects. Wrap fences to light the way to your barn dance. Wrap the columns on your house to welcome one and all to your New Year's Eve party. 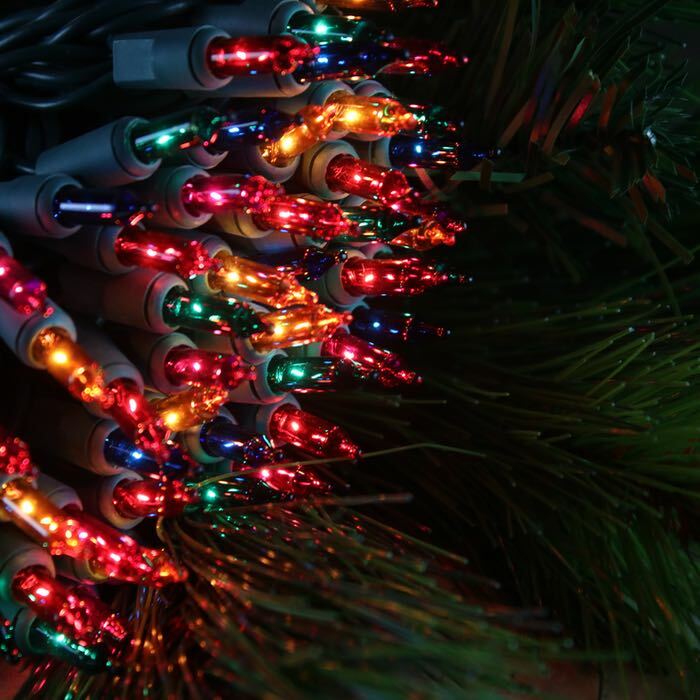 Each string of these mini lights is just over 50 feet of length, manufactured with 22 gauge wire. Fitted with a standard male and female plug set, they plug into standard household outlets. You can run up to 5 sets in a series before adding a second extension cord.